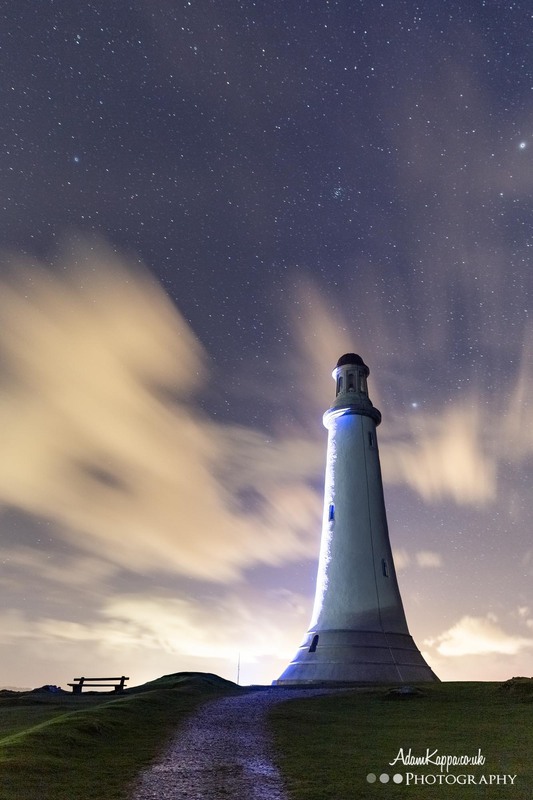 Hoad monument is one of the most recognisable features growing up around Ulverston, a sort of lighthouse shaped monument on the top of the hill above town which you can see from lots of points around the Lake District reminding you of where you come from. I’ve photographed Hoad lots of times but it is quite tricky to mix it up and find something different. I quite enjoy climbing the hill at nighttime to watch the stars, plus you usually get the place to yourself. From the outside, I guess it’s a weird thing to do but it’s quite relaxing sitting at the top looking over the town as the stars fill the sky. Once the lights eventually go out, it’s like flicking a switch to turn the stars on. The sky behind the monument is filled with little specks of light and it’s awesome to see. Annoyingly one of the lights stayed on adding a touch of blue to the side of the monument, I waited a while to see if it would go out but the light was more stubborn than me this time around so I made do with what was available. I liked how the track was being lit up by the moon light with the bench off to the right hand side creating a silhouette against the skyline as Hoad towered up into the sky on the right. The clouds rolled in as I took the photograph but it created a nice pattern in the sky with the stars filling in the gaps in the middle. Overall I’m happy with the results. I usually photograph the monument from the front but a different angle helped make this photograph different.